you’ve opened the doors of advanced functionality on your Android phone by rooting it. That’s great! You can do stuff with your phone that other people can’t do with theirs. But what happens when things change and you want to unroot it? Fear not, we’ve got you covered. Maybe you want to unroot for security reasons, or maybe you just don’t need root for your favorite tweaks anymore. Or, perhaps you’re trying to sell your device, or get warranty service. Or maybe you just want to download an over-the-air update. Whatever your reasons, unrooting isn’t that difficult–as long as you know what you’re doing. 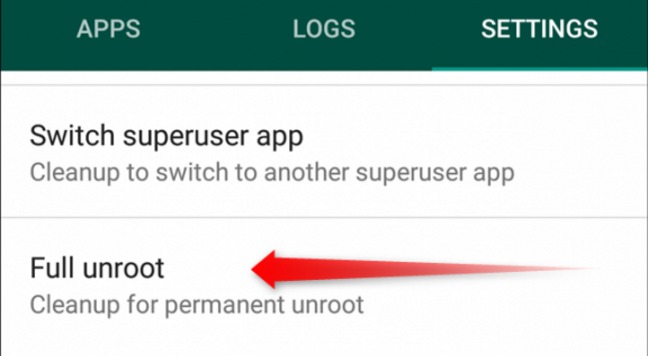 2- Now tap on ‘Tools’ and select ‘Root Explorer’ to turn it on. Superuser (or your root manager) will ask you to grant privilege , Allow it. 3- Go back to the main screen of the app and select ‘/’ in the top corner of the screen. 4- Go to system -> bin. Find the busybox and su file and delete them. If you can’t find any of them, just skip to the next step. 5- Go back to system folder then open ‘xbin’ folder and delete the busybox and su file there (if you found any). 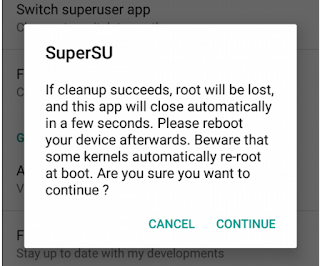 6- Now go back to the system folder, Select App And delete thesupeuser.apk Now restart your device and it should be unrooted. 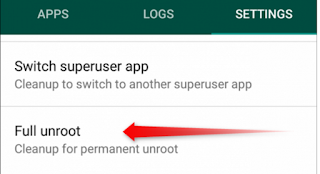 Go To Settings And Click On Full Unroot. 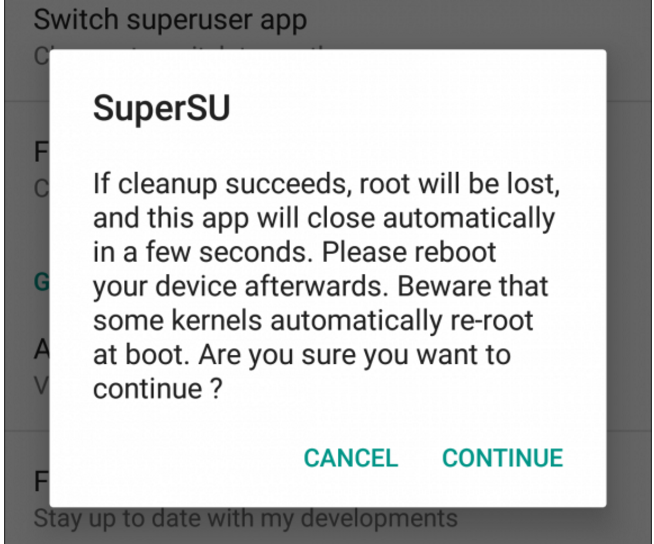 Restart Your Android Device Now and unistall Super Su app And Root Complated. 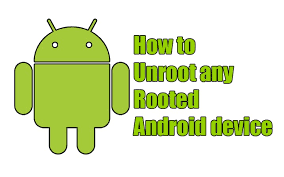 That all, they are 2 ways to unroot any android device safely, if you have any probleme just tell us on a comment.